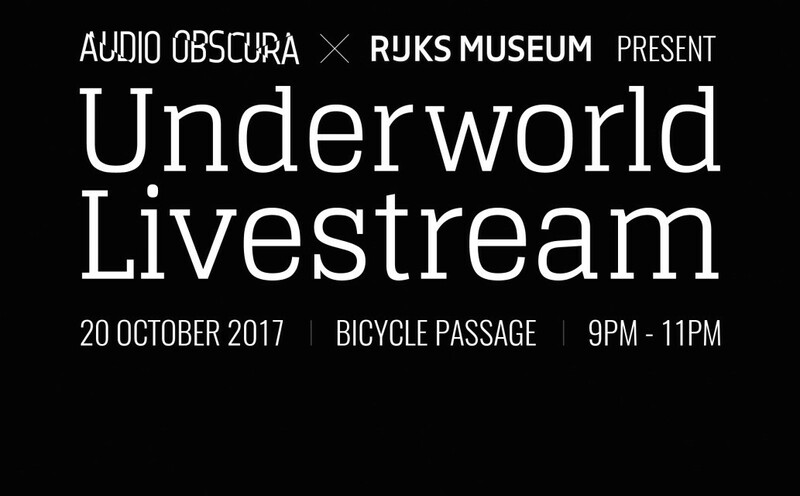 Underworld’s show at the Bicycle Passage, presented by Audio Obscura & Rijksmuseum as part of this year’s ADE, is to be broadcast live at 9PM on Facebook and the ADE Live Report. The live stream, available on the ADE facebook page and our live report, means you can watch their full 2-hour show from your own home wherever you are in the world. This will only be available live on Facebook, so make sure to tune in at the right time! You can set a reminder here. Underworld live at the Rijksmuseum. Friday 20th October, live from 9pm - 11pmCEST/ 8pm – 10pmBST / 3-5pmEDT.